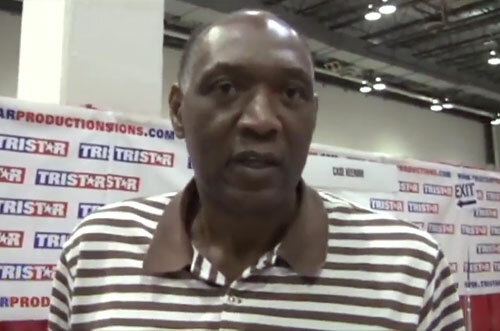 Elvin Hayes is a retired NBA basketball player who played for the San Diego/Houston Rockets from 1968–1972, the Baltimore/Capital/Washington Bullets from 1972–1981 and the Houston Rockets again from 1981–1984. Hayes won an NBA championship for 1978 against the Seattle SuperSonics plus he is a twelve-time NBA All-Star for 1969–1980. Hayes was also three-time All-NBA First Team for 1975, 1977 and 1979 plus three-time All-NBA Second Team for 1973, 1974 and 1976. He was named as a member of the NBA 50th Anniversary All-Time Team plus his number No. 44 was retired by University of Houston. Hayes was inducted into the Basketball Hall of Fame in 1990. PFP Sports Talent Agency is a top booking agent for motivational sports speakers and sports personalities. If you would like to book NBA stars like Elvin Hayes for a speaking engagement, personal appearance or special event, you can request Elvin Hayes agent and speaker information from PFP Sports Talent Agency or call 800.966.1380.